2. Trim any excess fat from the ribs. Rinse ribs under cold running water and pat dry with paper towels. 3. Heat the olive oil in a heavy oven- proof pan. Sear the short ribs, browning them well on all sides. Add salt and pepper, marjoram, rosemary, and one cup of water. Cover the pan and place it in the oven to roast until meat is tender, about one hour. 4. Remove the short ribs and set them aside. Cool the pan juices, chill, and remove all the fat that hardens and rises to the surface. In the meantime, trim as much fat as possible from the cooked short ribs. 5. 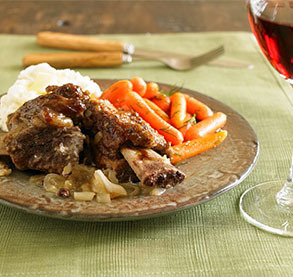 Return the trimmed short ribs to the pan and place the baby carrots and onions on the top and around the sides. Cover the pan and roast until the vegetables are tender, about 45-60 minutes. 6. Remove the vegetables and the short ribs and arrange them on a serving platter or in a bowl. Keep them warm in the oven. 7. In a small mixing bowl, combine the flour and the four tablespoons of water to make a smooth paste. Stir this a little at a time into the pan juices, which have been brought to a boil on the stove top. Stir or whisk constantly as the gravy cooks, to keep lumps from forming, until it reaches the consistency of a light sauce. Stir in the dry red wine. 8. If you find you have added too much of the thickening paste, thin the sauce with a little water. 1. While the short ribs are cooking, prepare the mashed potatoes. Place quartered potatoes into a saucepan; cover potatoes with cold salted water. Put lid on pan and bring water to a boil. Reduce heat and simmer for about 20 minutes, or until fork tender. 2. Drain potatoes. Add milk or cream and butter. Mash potatoes with a wire masher, or electric mixer until smooth and creamy. Season with salt and pepper. 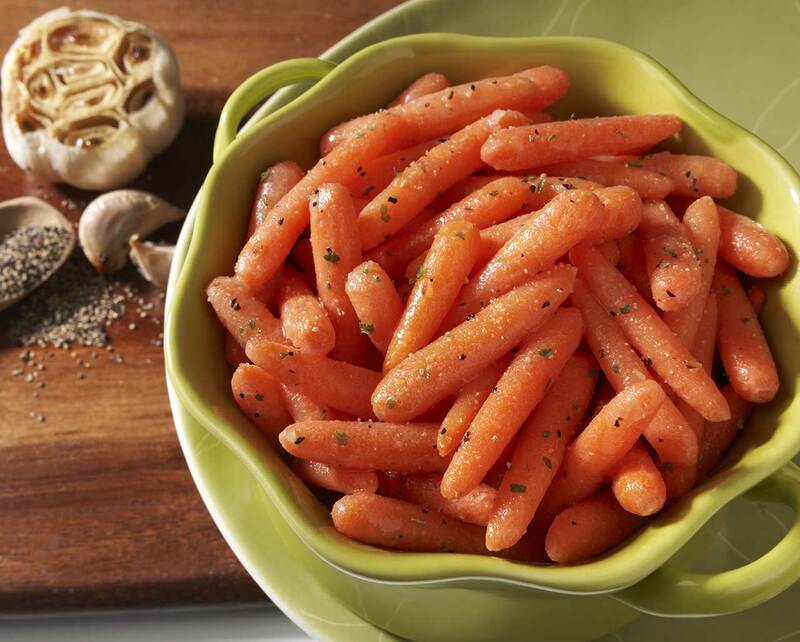 Serve with short ribs and carrots.